8 ways the beer you drink can help the environment! Earlier this year, the Oregon Environmental Council provided a unique opportunity for citizens of Beervana to raise their carbon-consciousness by helping Migration Brewing launch the Little Foot Red Ale, a rosy brew crafted to reduce the carbon footprint and improve the environmental performance of a beer from start to finish. Migration Brewing isn’t alone in their dedication to climate health. A growing number of American breweries have joined the fight against climate change by signing on to a national Brewery Climate Declaration calling for strong climate and energy policies. Perhaps unsurprisingly, Oregon is at the lead of the pack. Oregon breweries make up a full one-third of the declaration signers, with seven Oregon breweries so far having made a commitment to a cleaner climate. So, if you seek to be green this St. Patrick’s Day, here are 8 examples of how breweries are innovating to reduce their environmental impact—and give us great tasting beer at the same time. 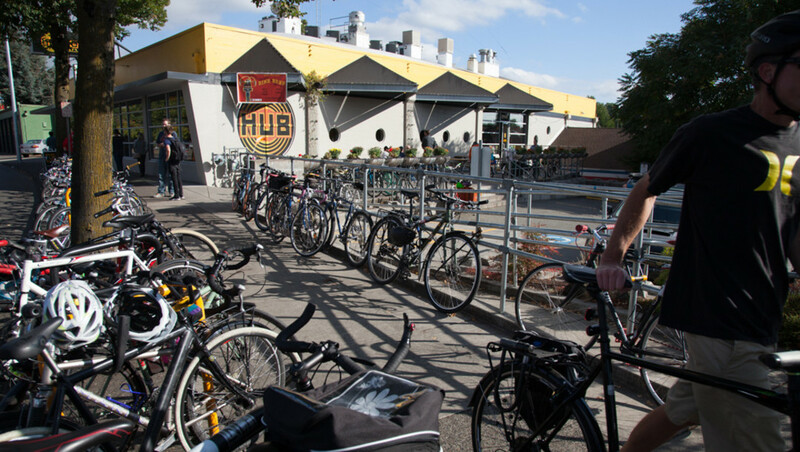 Oregon’s Deschutes Brewery and Widmer Brothers use 100% renewable energy to generate electricity. Nationally, Allagash Brewery, Brewery Vivant, Odell Brewing, Redhook, and New Belgium Brewing are going 100% renewable, too. Oregon’s Ninkasi Brewing has installed on-site solar arrays, and Hawaii’s Kona Brewing Company gets 50% of its electricity with roof-top solar. Washington State’s Fremont Brewing, as well as Odell Brewing (based in Colorado) are using steam from the brewing process to heat the next brew and lower their carbon footprints. Breweries like Portland’s Hopworks are opting for local, organic ingredients when crafting their brews. Organic agriculture doesn’t rely on synthetic fertilizer, a contributor to the carbon footprint of hops and barley production. 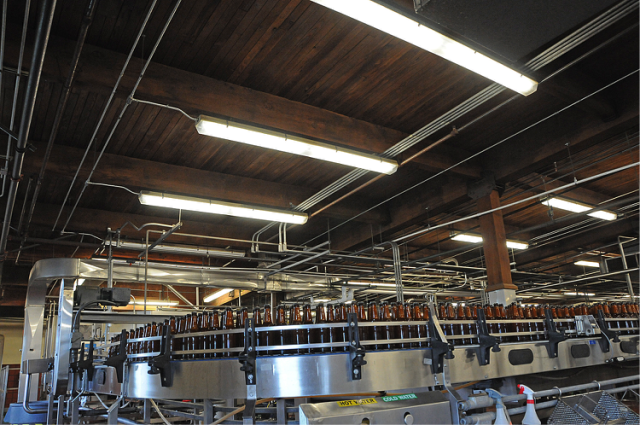 Efficient T5 lighting systems with occupant and daylight sensors were recently installed at the Widmer Brothers Brewery. The brewery has reduced its energy use by 12% in 2014, to just 9.2 kWhs per barrel of beer produced. Oregon’s Widmer Brothers Brewing has installed high-efficiency lighting systems with occupancy and daylight sensors to reduce their energy use. New Belgium Brewery is capturing methane—which is a potent greenhouse gas if released as waste—in a wastewater treatment bubble and using it to generate electricity to provide up to 15% of the brewery's energy needs. Beer’s main ingredient is clean, fresh water. Breweries are increasing their water efficiency, especially in areas struggling with drought. Oregon’s Hopworks Urban Brewery recently installed a “Cleaning In Place” system, which allows them to conserve five times the amount of water when cleaning fermentation tanks while also saving energy and cleaner. Many breweries are cutting their transportation footprints by reducing packaging and choosing cans, which lighten the load. Guinness has partnered with the US EPA Smartways program that works with transportation carriers to reduce carbon emissions through better logistics. Breweries like The Alchemist are partnering with local farmers to reuse the spent grain from the brewing process as compost or to feed livestock. Oregon's Ninkasi utilizes locally-grown hops.